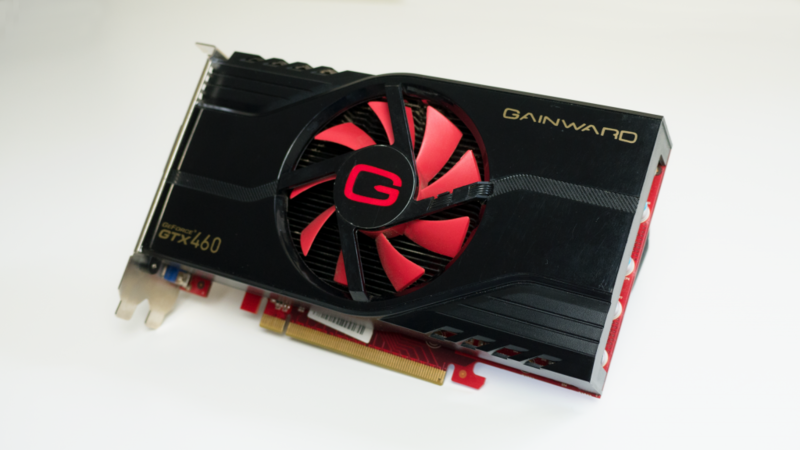 Now you may not be as excited about this as I am, but today we’re going back in time and taking a look at a seven year old GPU. 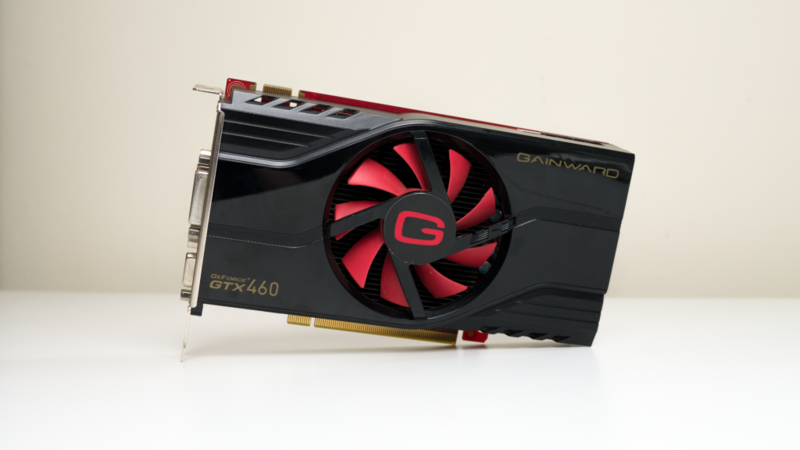 The graphics card in question is the Gainward GTX 460 768mb variant. The 460 was released way back in July 2010, had a price tag of around $200 US or £220 UK and we’re going to see how it holds up almost a decade later. Will it hold up or will it fall flat? Personally I like how the Gainward looks. With its glossy black plastic, red fan, red logo and a splash of gold, it might not have been to everyones taste but in my opinion it was one of the nicer releases at the time. Honestly its held up pretty well and looks better than some budget cards released this year. The 460 on this model uses a 80mm double ball bearing GR8 (Great 8) fan to bring in some fresh air and keep the card cool. 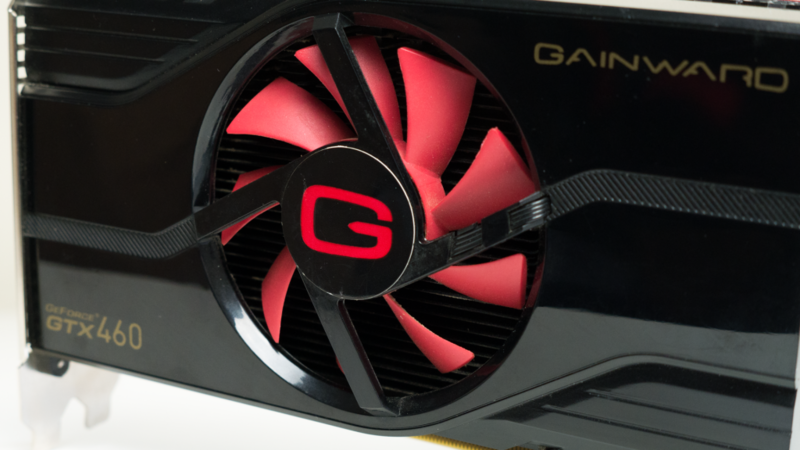 The Gainward also uses a GP (Grand Prix) heat pipe system which utilise 6mm copper pipes and an Aluminium heatsink to draw heat away from the VRAM. But I’ll talk more about temps later in the performance overview. 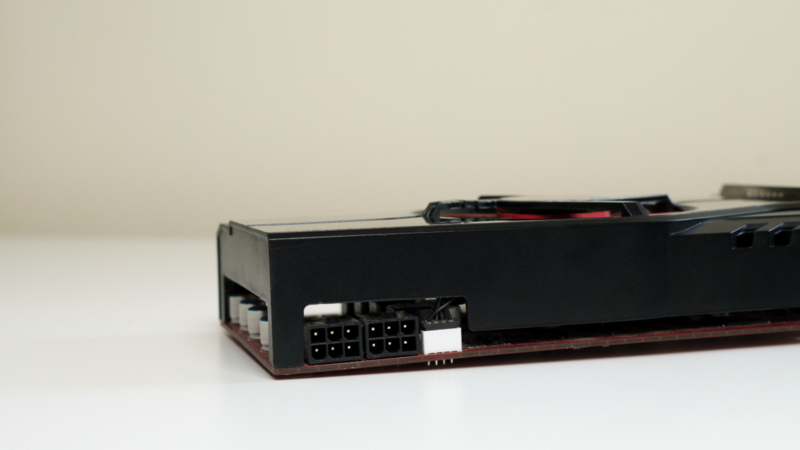 The GTX 460 uses a 2 x 6 pin PCI-E interface to provide power to the card. The 460 had around a 160W TDP depending on the model. So 160W might not seem like a lot, but consider a new GTX 1070 only has a TDP of 170W and you can see just how far we’ve come. Back then this means you’d have needed roughly a 450 – 550W PSU for a full system. In 2017 that is still the case, but now you could power a high end rig with that same power output. But in reality back then, this card was reasonably high end, so it needed a similar power output to a modern equivalent. 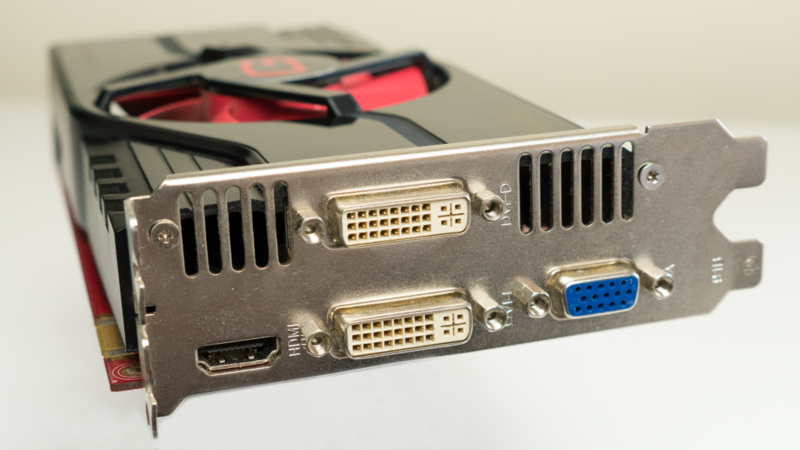 The rear IO on this card provides you with 1 x HDMI, 1 X VGA and dual DVI-D. This was pretty common back then and seen as most monitors at the time used either VGA or DVI as their main input, this was bang on trend. Now we have still have HDMI and I’ve even owned modern monitors with VGA, so this card still can be easily used in a new system. The max res output for this card was 2560 x 1600 via HDMI and 2048 x 1536 by the VGA port, so it is capable of running a newer 1080p and 1440p monitor. But will it do that successfully? So to test this card I used it in a part new and used build. Below are the specifications for said build. 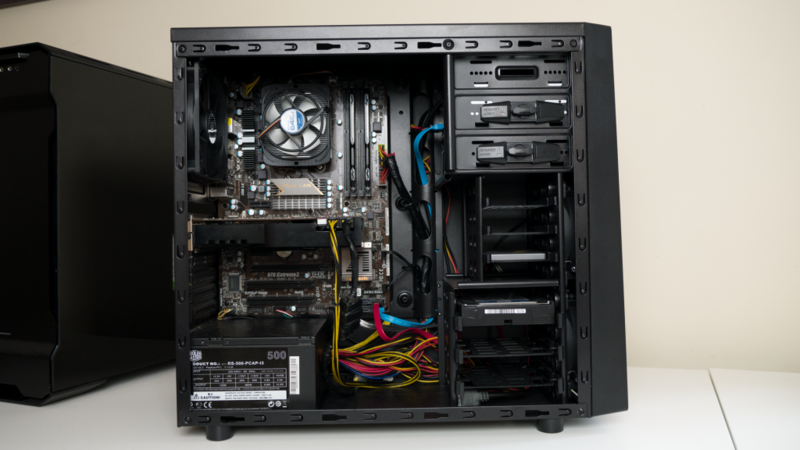 The total cost of this build today is around £371, if you buy some parts new and some used. You can bring that price down to around £330 if you opt for a cheaper motherboard as the ASrock is really expensive used. I’d suggest looking at the Gigabyte 970-DS3P which is almost half the price. Also I know the cables are a mess, but the case has a solid side panel, so it isn’t too bad, as you wouldn’t see them. Well everyday tasks are handled really well and I can’t complain. 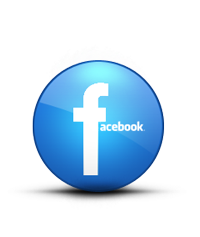 Now in reality for everyday stuff like browsing the web or documents, the card isn’t really being utilised. 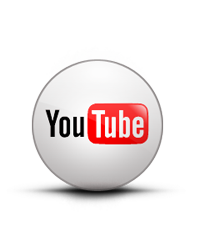 But for watching some 1080p video on YouTube it had no issues whatsoever. There was no stutter or choppiness, but again most of this task is CPU bound anyway but it is capable. One Issue I ran into is with the resolution in Windows 10 (which it can run no problem) and that is the max display resolution. I know earlier I stated that it could output 2560 x 1600, but when I tried the card on my AOC 1440p (Q2778VQE) the max it would run was 1080p. I tried and tried to resolve it, but no matter what I did, it wouldn’t budge beyond 1080. Now maybe its an issue with the older card and Win 10, or something else, but its an issue I faced nevertheless. Here I tested the card with several modern popular titles to see how it fared and it was surprising. It played most of the games, but I did run into a few issues during testing. Batman Arkham Knight was the 1st game to be tested, this is the first issue I ran into. It appears that this card simply does not have enough VRAM to play it. Even with the lowest settings at 1080p its needs a minimum of 2GB to play. Even turning the resolution down to 640 x 480 didn’t help as it stated I needed at least 1.8GB. To be honest I wasn’t expecting this game to run as I know it likes its video memory. So if this your favourite game, you’re a little bit out of luck. 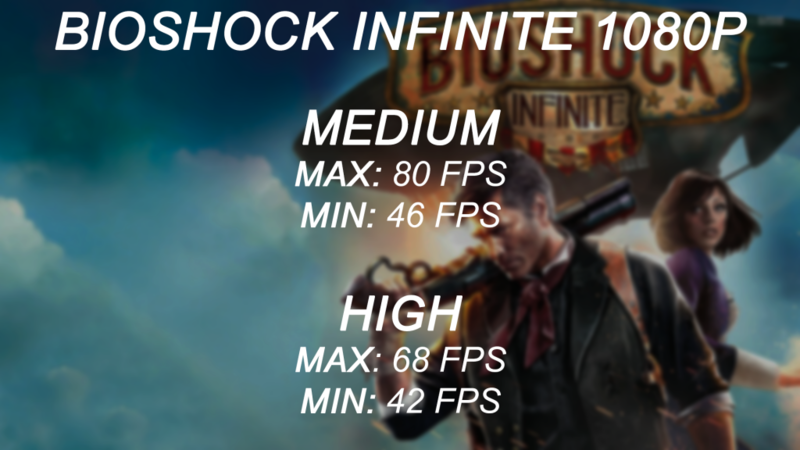 Bioshock infinite is the 2nd game that I tested. I used the 1080p medium and high presets. This was actually a good gaming experience. 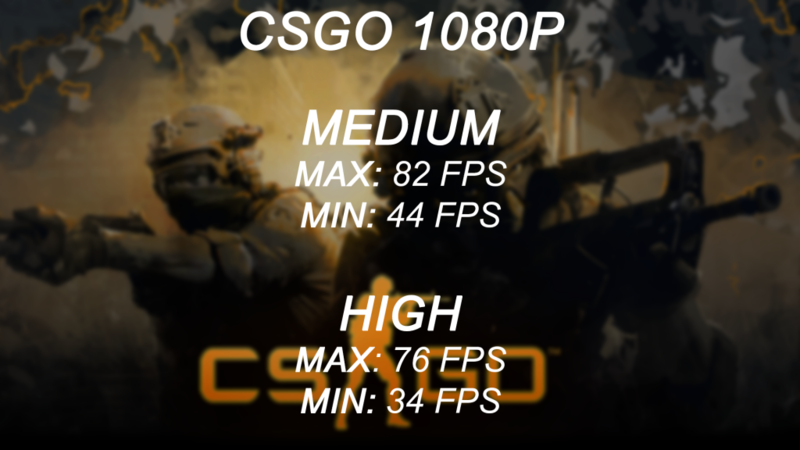 As you can see from the FPS below even at high 1080p you can get some good framerates. The gameplay was smooth and I had no issues playing it at all. There was some screen tearing, but that can easily be fixed if you turn on VSync. 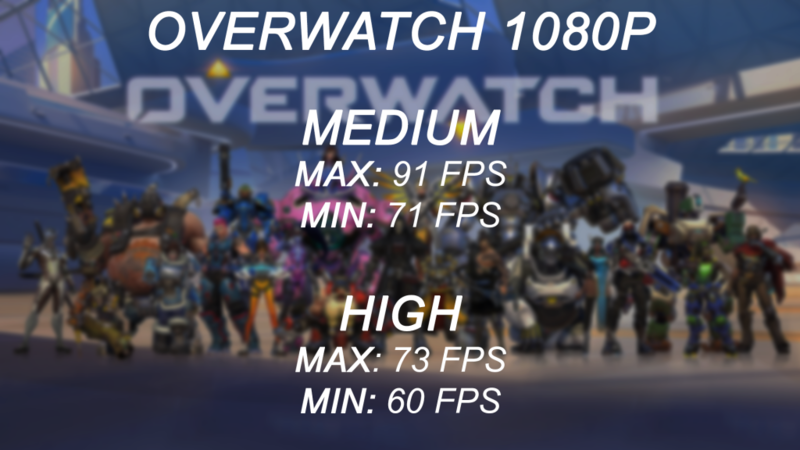 If you want to lock out VSync at 60FPS then I’d suggest a mix of high and medium settings to find the right balance of performance at quality. 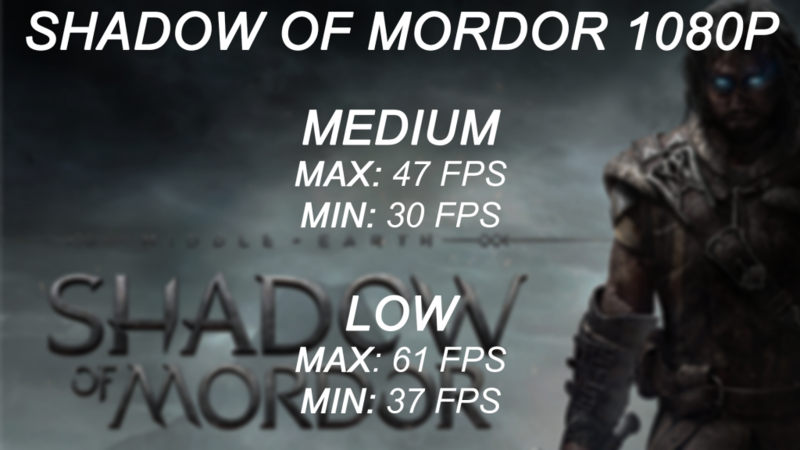 If you want the best possible framerates then you can knock the settings down to low and you’d get much better results. But to be honest, like I mentioned it was still highly playable on the settings I tested. Next up was CSGO, this is not known for being an overly demanding title but its one of those games that plays better at higher framerates. As you can see from the image below, the card get some pretty decent results. I’d personally play at medium to get the most from it. 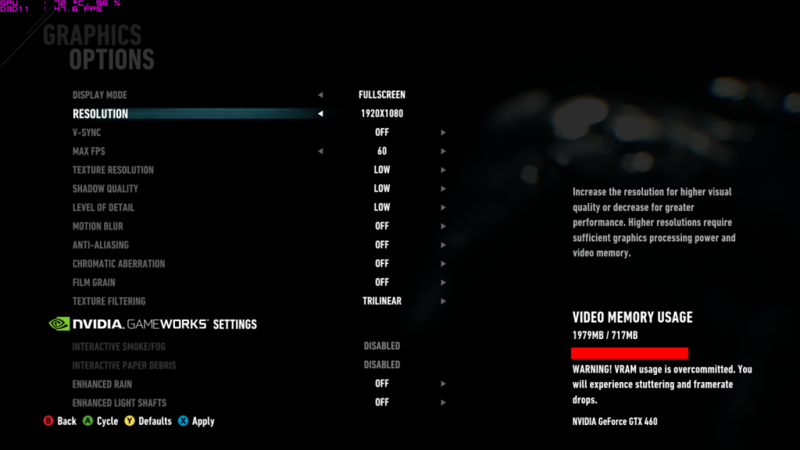 But if you’re a real FPS hunter dropping the settings to low would yield better results. But even at high it was an enjoyable experience for me. 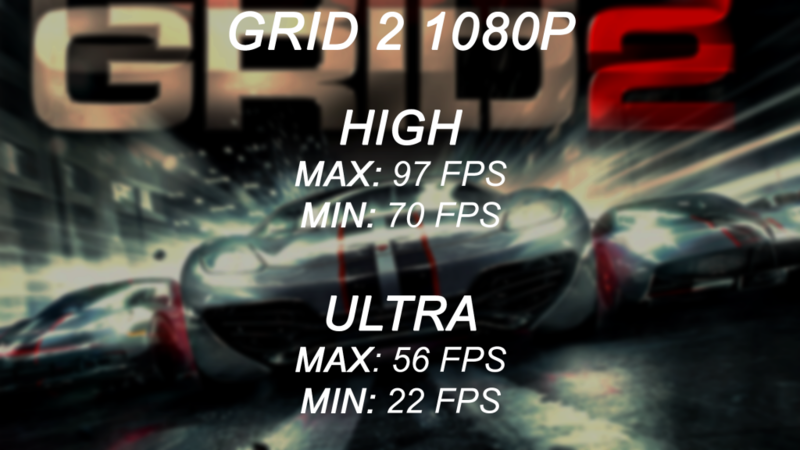 Grid 2 was the next title I tested and its very known for being well optimised and that it is. On high settings the game was extremely playable and enjoyable. 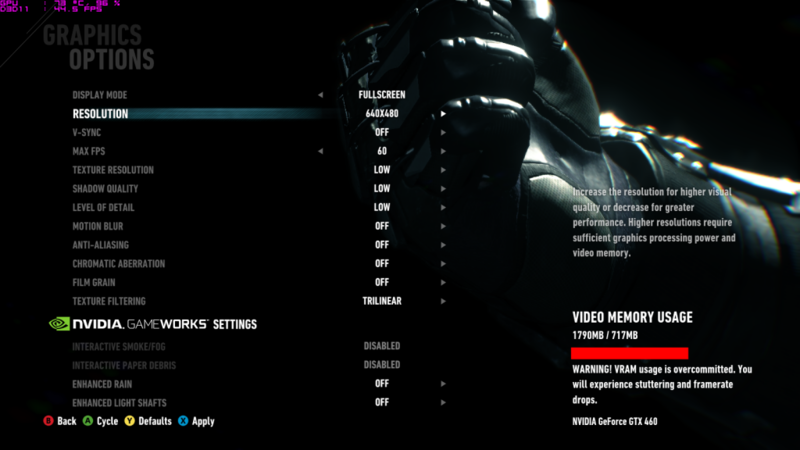 I didn’t notice any screen tearing or artefacts when playing, even with VSync switched off. I then thought I’d crank the settings up to ultra, but that was a little too much for the card and I was getting some severe frame drops. But even at high the game looks lovely, so ultra isn’t really needed. I just wanted to push the card to see how much it could take. Overwatch was the next to hit the PC and I have to say I highly recommend this game, if you haven’t played it yet, you really should. Anyways performance was great I could easily hit 60 FPS no problems at all with no issues. Turning off VSync was still a great experience and even on high it was smooth and easy to play. Now again OW is an easy game to run so for a system like this its a good fit. Obviously again if you want to gain more frames you could drop the settings, for me medium delivered the best performance and its the setting I used most of all. 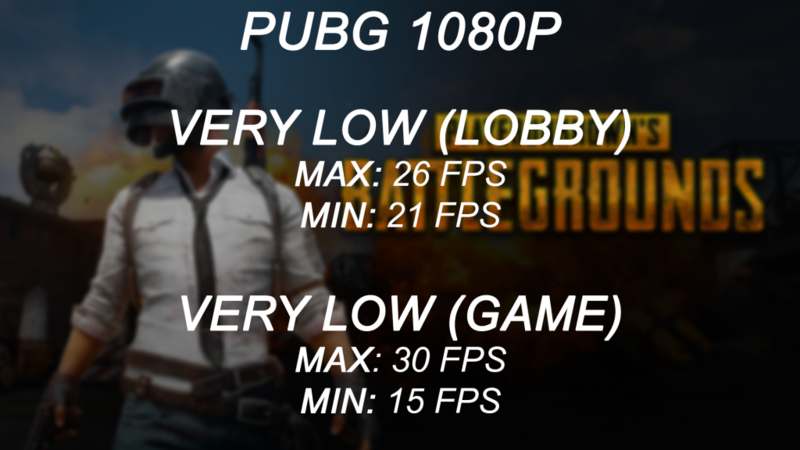 Next to be tested was PUBG (Player Uknowns Battle Ground) and this lets face it, isn’t well optimised and higher end systems don’t get the best experiences that they are capable of. Well lets just say that I wouldn’t play this game on this system unless you want to be an easy target. Also if you love visuals or even smooth gameplay, you’d want to cry with how bad it was. The card and system simply can’t cope with the game and it did try. Rise of the Tomb Raider was next on the agenda and lets just say it wasn’t a good experience and the gameplay I did to test this wasn’t even intense action, it was simply exploring the map. If they was a scene with intense action it simply struggled to cope. I then even lowered the resolution to 720p and it was better, but the game no longer looked that good. Yes it was playable but I do like nice visuals and 720p low settings just didn’t deliver that. Again I wasn’t expecting this card to play ROTR well as it can be taxing, but this is not a game I’d suggest you play on the card. 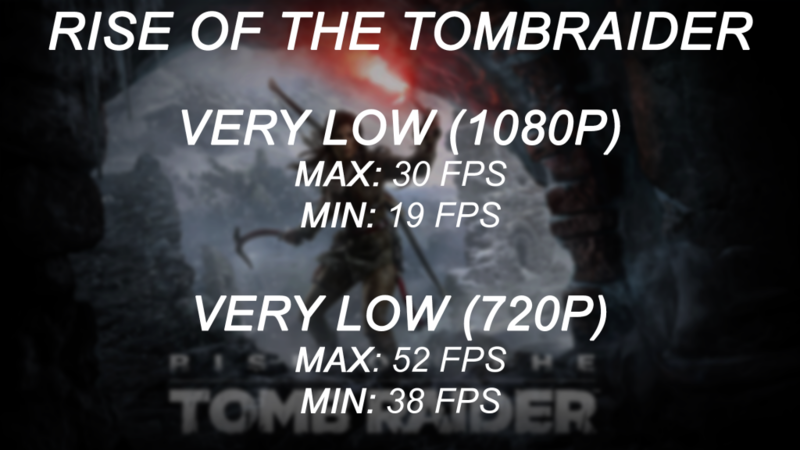 Okay so 30FPS isn’t too bad, but the average framerate was more like 24FPS which isn’t that great to be fair. The final game was Shadow of Mordor and this game played surprisingly well. I tested it on medium settings with the texture set to low and it was a decent experience. It could get a little choppy at times, especially when surrounded by Orcs. Dropping the settings to the low preset did provide better results and the one I’d suggest. The game still looked nice and played much nicer. The final thing to mention is temps. The idle temp in this system was 29c and the peak temp was 78c, which is quite hot but considering I was pushing it with modern games, that’s no too bad. As a whole this GPU which can be found for a little as £30 is still a solid card, even 7 long years later. Yes it did struggle with the more demanding titles, but it put in a solid performance with games like GSGO, OW, Grid 2 and Bioshock. So what should you take away from this. Well if you have a max budget of around £350 and play games like overwatch and CSGO then a card like this would be a nice fit. If you can however find the 1GB variant then I’d opt for that as it’ll give you a touch more headroom. But for around £30 I can’t complain at all. 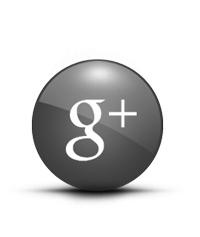 Should you buy one, that is up to you. I think cards like this are often far too easily overlooked and can still perform well, so if you don’t mind buying used and you play easier to run titles, a card like this could save you some money. Hey I’m Weston and I’d definitely say that I’m a technology enthusiast. 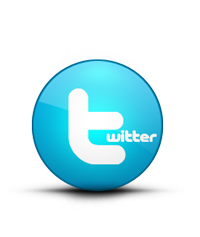 I’ve been in the tech space a while and I really love pretty much anything tech or tech related.